Window screens are the perfect solution to prevent bugs invading your home and unwanted sun exposure. Our expert team will measure and install window screens according to your specifications. Choose from several frame finishes and screen materials such as fiberglass mesh, aluminum wire and solar screen. 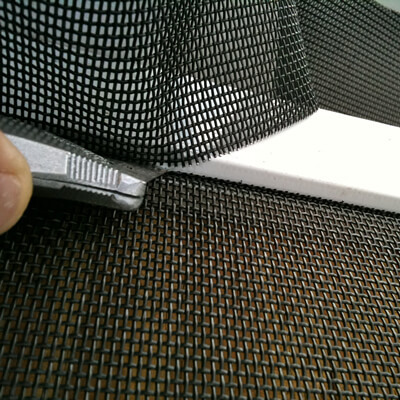 We also provide pet screen for puncture and tear-resistance. Give us a call to discuss your project and we will advise you on the options and budgetary pricing.